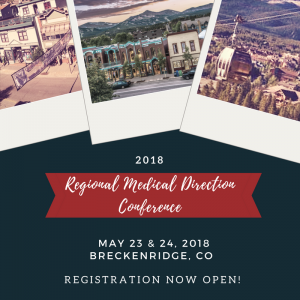 In a partnership North West RETAC we are excited to be bringing back the RMD Conference to Breckenridge, CO. This year’s conference we feature Stop the bleed, Community Paramedicine and keynote speaker Steve Wirth. Registration is now open for the RMD Conference and Mental Health Summit.